Love your potatoes! We so often see lemons or other fruits, pretty colored veggies or flowers in still lifes but a painting of potatoes? Never! This is refreshing although I can see why they aren't always first choice. 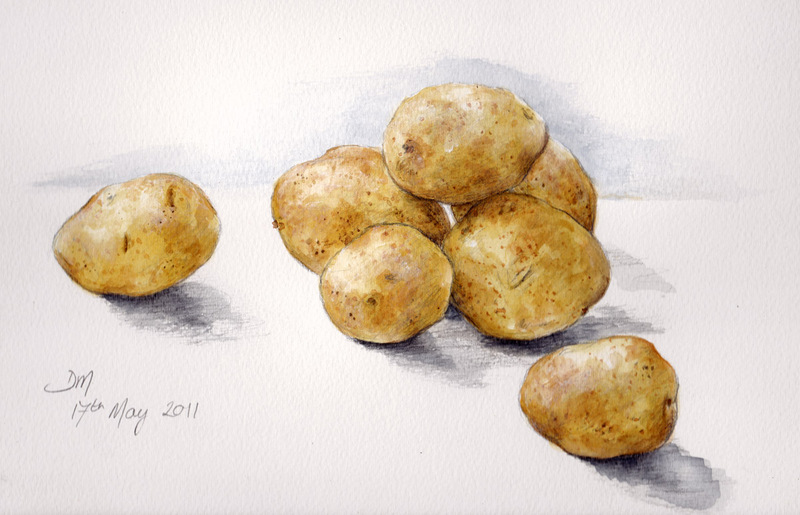 Even humble potatoes look good when you're doing them! Jill, I work most afternoons and you're right I have no life -particularly in May !